As I sat at the edge of the ocean today, listening to a meditation about anxiety, they introduced the notion of remembering when you have anxious feelings that many people the world over are experiencing similar feelings. I’ve always liked these themes of interconnectedness and my mind readily settled into the space. But apparently my mood wasn’t satisfied with looking at anxious feelings. Instead I started to think about other feelings and emotions and the fact that they are all being shared simultaneously with millions of people around the world. JOY was the shining example I was drawn to and I started to think about a twinkling light growing brighter and brighter with each person’s uplifting experience. Mid this ‘warm and fuzzy’ meditation train – I heard piercing levels of shrieking coming from the ocean. My eyes flew open and I truly didn’t know what to expect. What unfolded was a brand new appreciate for JOY. 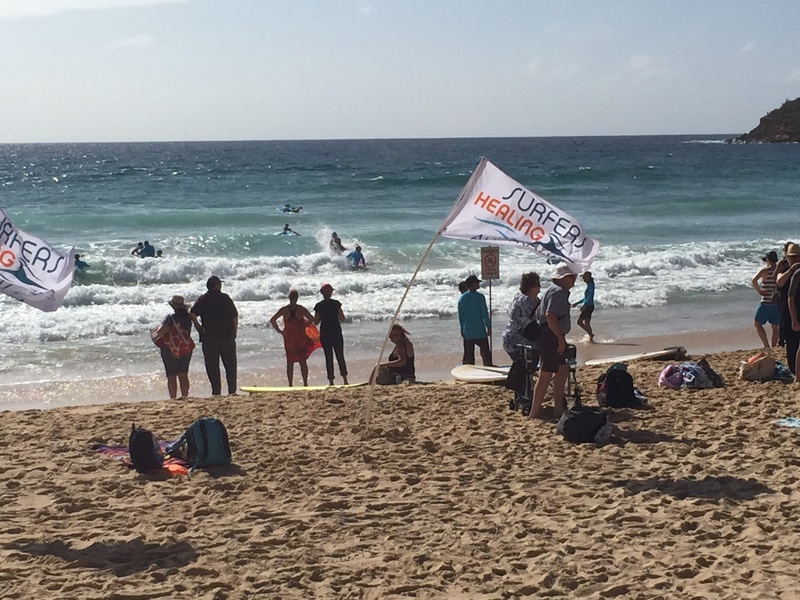 The Surfers Healing Australia had set up camp next door and were interacting with an Autism Awareness group. Talented surfers were giving autistic kids tandem rides on waves that left them bubbling with so much JOY their laughter and delight were flooding the beach. Their squeals of excitement were matched with various exuberant dance moves and spontaneous high fives. These erupted from the kids, the surfers and random bystanders like me. What a gift . . . to truly share something in your life that brings you pure JOY! These surfers and these kids both had a magical experience today. I was just lucky enough to be on the edge of that growing light. What layer of JOY can you share today?